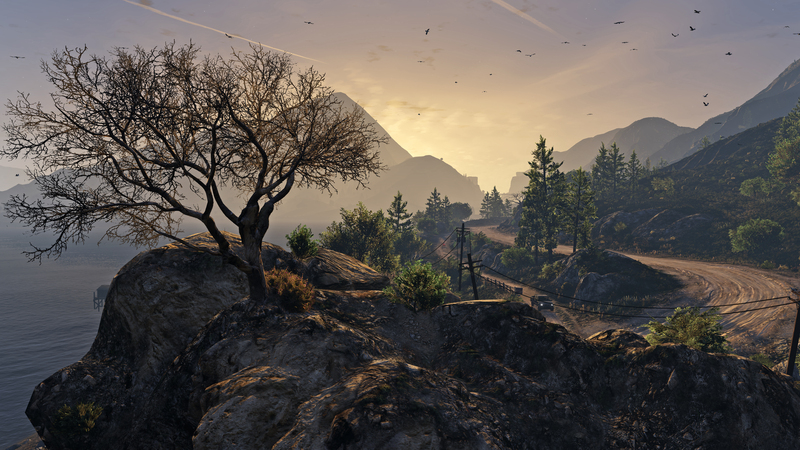 There are many paths to success and excess you can take over the coming days in GTA Online - with Double GTA$ & RP on offer in four distinct modes. Now through May 25th, stay in the black by painting the town blood red with Double GTA$ & RP in Juggernaut and Resurrection. If you're more comfortable behind the wheel than gunning down your adversaries, you can also earn Double GTA$ & RP in any of the many adrenaline-inducing Rockstar Created Stunt or Special Vehicle Races. Finally, complete the look while you're out on the track with 25% off all Cunning Stunts clothing. This week's Premium Special Vehicle Race is "The Loop," locked to the Rocket Voltic and the Time Trial is "Down Chiliad." Test your mettle with the Ruiner 2000-locked "Steeplechase" serving as the week's Premium Race and "Del Perro Pier" as the Time Trial. Premium Races can be launched through the Quick Job App on your in-game phone or via the yellow corona at Legion Square. GTA$ payouts are awarded to the top three finishers and all racers get Triple RP just for trying. To participate in Time Trials, set a waypoint to the marker on your map and enter via the purple corona. Beat par time and earn a nice GTA$ & RP reward. 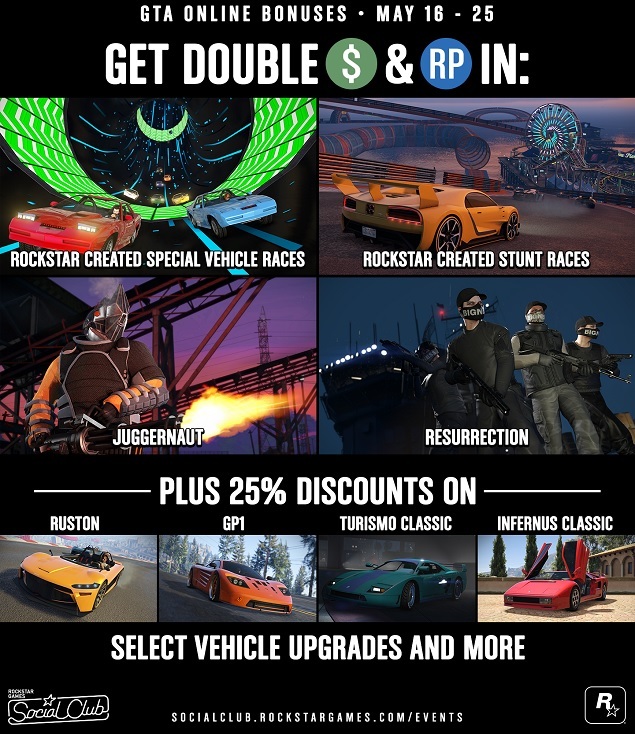 2x GTA$ & RP for Stunt Races, Juggernaut, More - This week's bonuses and discounts cover Stunt Races, Juggernaut, Resurrection, and other modes.